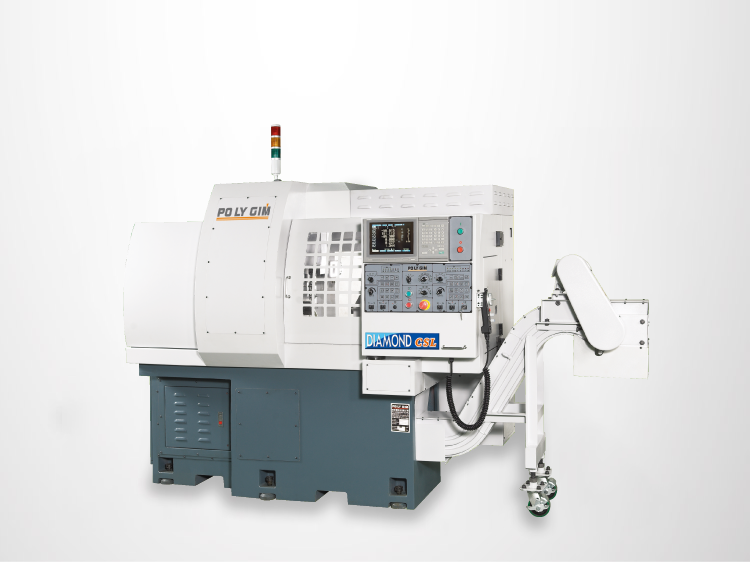 Po Ly Gim introduces the smallest Swiss type CNC lathe: the Diamond CSL 12-2Y. With a 12mm bar capacity and up to 10 working axes, the Diamond CSL 12-2Y is not only compact in size, it also has superb capabilities. Among its unique features are the two Y-axes and six fully programmable (360°) tools that work on both the main and sub-spindle, making the Diamond CSL 12-2Y suitable for producing small electronic parts. It is also capable of doing milling and turning. Cross Tool Speed 200~6000 r.p.m. 360° Automatic Rotary Driven Tool Speed 200~6000 r.p.m. *We reserve the rights to change the design without any prior notification.